Ooh I love me some potatoes! Hands down, they’re one of my all-time favorite veggies.  And these creamy, buttery VEGAN (yes, vegan!) mashed potatoes only deepen my obsession. 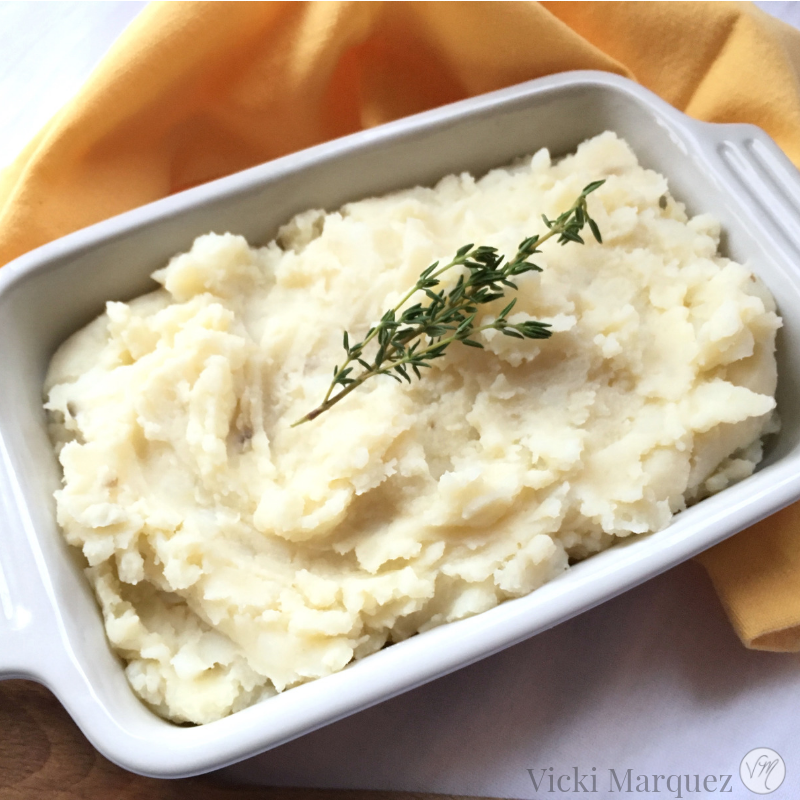 With the holidays lurking around the corner, these mashed potatoes (that I promise even the meat-eaters will love) 1000% belong on your holiday table…or your Sunday night dinner table…or in a bowl with a spoon after a crazy day at the office. Okay I’m getting a little ahead of myself here, but you get the point. They’re delicious any ol’ time! The secret to these creamy vegan mashed potatoes isn’t an obscene amount of non-dairy butter. Nope, I wouldn’t do that to you. The secret is my Cashew Sour Cream, which has just the right amount of tang and gives these taters their extremely light and fluffy texture. If you’re thinking about making these for Thanksgiving, Christmas (or both), you wouldn’t be wrong! And for a little extra deliciousness (as if that’s even possible! ), try pairing them with my favorite Vegan Gravy. In a large pot, cover potatoes with cold water and add sea salt. Bring to a low boil, simmering until potatoes are very tender. About 20-25 minutes. Do not bring to a full boil! While potatoes are cooking, heat almond milk and vegan butter together in small pot over medium heat. Heat until butter is melted. When potatoes are fork tender, drain and return to the pot. Toss over low heat until remaining moisture evaporates, approximately 2 minutes. Immediately mash the potatoes with fork or potato masher. Once mashed, slowly stir the milk/butter mixture into the potatoes. Season with more salt to taste. Fold in cashew sour cream (if using), until smooth. Be careful not to over mix or potatoes will become gummy. 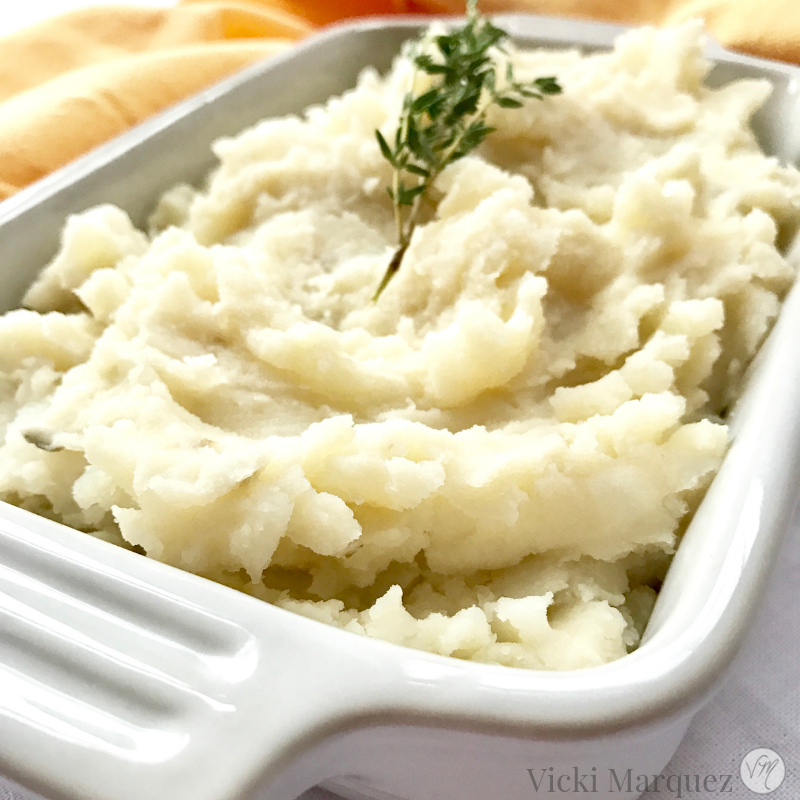 So, tell me…will these creamy vegan mashed potatoes be making an appearance on your holiday table? If not, what healthy holiday dish will you be whipping up? Share down in the comments below, because I always love hearing what you’ve got goin’ on.